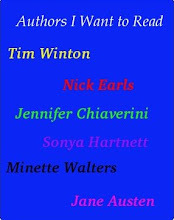 From Goodreads: Figgy has two problems. One is her name. Nobody in Ghana has that name. The other is that her grandmother is ill and needs special medicine. Figgy can't do much about her name, but she can do something for Grandma Ama. She will go to America and bring back the medicine, and Kwame, her special goat, will go with her. Out in the wide world she will meet some bad people, but she will also find good friends. Thoughts: This is the fifth of the Children's Book Council of Australia (CBCA) shortlisted Younger Readers books. Figgy in the World has so much going for it. It provides an entertaining and informative look at a world vastly different to that of Western children. Figgy is strong and determined, willing to do whatever it takes to find the medicine her grandmother needs. Figgy has that best quality found in children - an absolute belief that they can do what they set out to do. This book could have so easily have gone wrong, becoming a condescending narrative about a struggling country. Instead the author paints a picture that doesn't hide the harshness of developing country, but also explores it's beauty and strengths. As a reader, I never felt pity for Figgy, I was amazed by her - her resilience, her hard working nature, her friendliness and her concern for all she met. 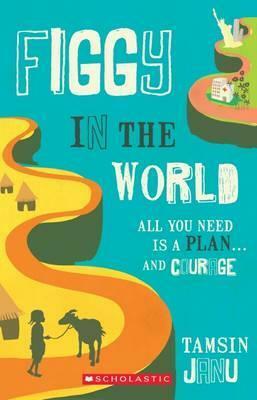 Figgy in the World explores themes of friendship, family, disparity between rich and poor, social justice and developing an awareness of the world around us. A wonderful book. I think it has a strong chance of taking out the book of the Year award. Figgy in the World gets 4 stars!